The dental implant procedure can be customized in a number of ways to address patients’ varying needs. From placing a single implant to replacing an entire set of teeth, our cosmetic and implant dentist is experienced in performing a wide range of complex cases. Patients at Cornerstone Dental who choose one of our advanced dental implant options to replace their missing teeth can rest assured they are receiving superior care with the most precise, aesthetic results possible. Having achieved the highest level of expertise in implant dentistry, Dr. Beckwith is committed to helping patients obtain healthy, beautiful teeth they are proud to reveal. During the consultation process, Dr. Beckwith will listen to your concerns and perform an oral examination to determine the extent of your needs. By utilizing state-of-the-art x-ray and cone beam scan technology, he can assess your oral health and jawbone quality to make an accurate diagnosis and begin planning your procedure. Once the most beneficial dental implant option has been established, Dr. Beckwith will take the time to educate you on what to expect from the process. To set up your appointment and learn if dental implants are right for you, please contact us today. For more information about the advanced options we offer, feel free to browse through the details below. If you are missing one tooth, you may be a good candidate for a single tooth implant procedure. This offers a permanent solution that most closely resembles your natural tooth. Replacing your tooth with a dental implant has many advantages over alternative options. 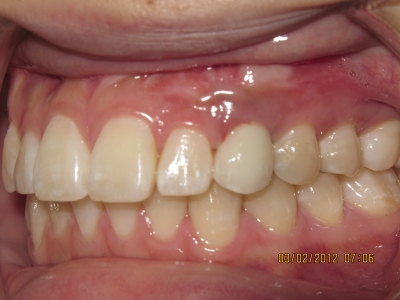 While bridges are often used to fill the gap of a missing tooth, this treatment involves preparing the healthy adjacent teeth to secure the new artificial tooth and, therefore, compromising their structure. A dental implant, on the other hand, is a standalone replacement that not only replaces the single tooth without affecting others, but also replaces the root. This helps you avoid the deterioration of bone and soft tissue in the area that can result from a lack of stimulation caused by the absence of your tooth. If you have two or more missing teeth, consider the potential of a multiple tooth implant procedure. This is performed much like a single tooth implant but further restores the function and natural look of your teeth. Whether the missing teeth are next to each other or in different areas of the mouth, Dr. Beckwith prefers to utilize implants whenever possible due to their unparalleled benefits. Should you have several missing teeth, you may find implant supported dentures to better align with your goals. 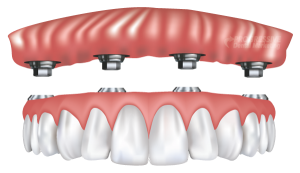 Implant supported dentures utilize the advanced capabilities of implant technology to support a full arch of replacement teeth. If you are missing all of your teeth, Dr. Beckwith may recommend this option to help you regain function of your teeth while also preserving your jawbone density. By opting for implant supported dentures, you can avoid the inconveniences that come with traditional dentures, such as denture movement, gum irritation, and food restrictions. Dental implants provide a solid foundation for your dentures and can even help you chew and talk like normal again. Depending on your unique needs, Dr. Beckwith may employ the “All-on-Four” or “All-on-Six” technique, placing a set of approximately four to six implants, if not more, to support the custom-made denture. As an alternative to dental implants being the base of your denture, which are traditionally composed of a titanium material, Dr. Beckwith also offers zirconia permanent teeth. 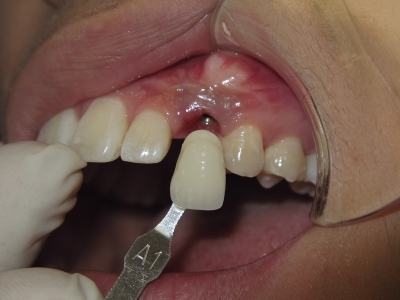 This option offers a fully ceramic, metal-free implant and restoration that may be more appropriate for some patients. Getting new teeth in a day is a revolutionary treatment option Dr. Beckwith offers for those with a full mouth of missing or severely damaged teeth. Due to the emotional and physical suffering this can cause, he is proud to offer you the ability to replace all of your teeth in as little as one day. To perform this procedure, the remaining damaged teeth are extracted, and a set of at least four to six implants are placed within each arch to secure your new upper and/or lower arch of artificial teeth. The optimal number of dental implants will be determined after Dr. Beckwith has had the opportunity to evaluate your jawbone quality. While some individuals may need only four implants (All-on-Four) to support their implant denture, others may require six (All-on-Six) or more. Dr. Beckwith will always recommend the safest number of implants that can provide a predictable, successful outcome. Once the implants are placed, Dr. Beckwith will take an impression of your mouth to begin the fabrication of your replacement teeth, which can be placed the next day. After about three to six months, when the implants have fused to your jawbone, a permanent restoration replaces the temporary arches. Mini dental implants are an effective teeth replacement option for patients struggling with their removable dentures or for those who do not make good candidates for traditional dental implants. This less invasive alternative involves surgically placing a shorter titanium rod into the gums to eliminate the slippage and irritation often associated with conventional dentures. Each mini dental implant is designed to anchor the restoration to the gums for natural-looking and long-lasting results. Whether you need to replace a single tooth, multiple teeth, or even an entire arch, mini implants can provide a more secure base for your new prosthesis. While dental implants often require a multi-step process, mini dental implants can typically be completed in just one stage. This is possible due to the technique not requiring the initial healing process that full dental implants need to fuse to the jawbone. 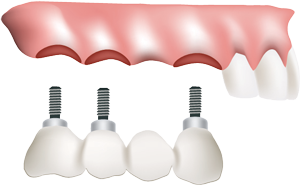 Dental implants are a versatile tooth replacement that can be customized for patients of varying needs. Regardless of which option is best for you, there is no doubt implant surgery can be a life-changing procedure. For more information about our options, and to learn which may be right for you, please contact us to schedule your appointment.